One casualty of our dysfunctional families was our ability to share intimacy. In our oftentimes dangerous families, intimacy led to vulnerability, which became an open invitation to be hurt and hurt again. We learned to protect ourselves by shutting down our natural need for intimacy. Our false self took charge to protect us from the harrowing pain of a multitude of unmet needs. As we engage in the process of recovery, we begin to feel comfortable with other ACAs, learning to express our needs at meetings. We may need to be discerning in deciding with whom to share our most treasured hurts, but share them we must if we are to regain our ability to share intimately. 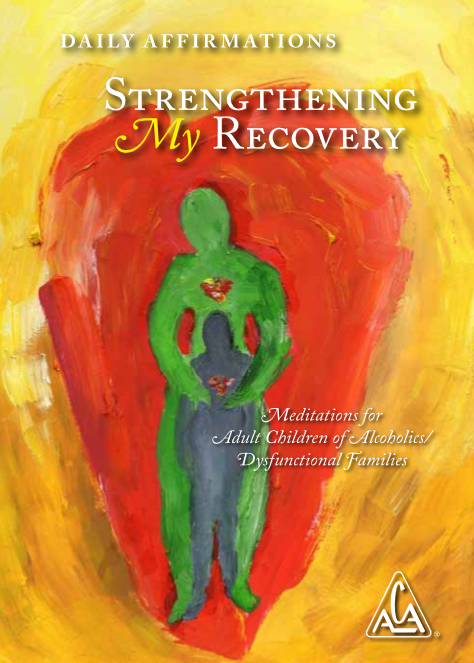 The process of recovery requires us to become our own loving parent, relieving from duty our most ardent defender, our critical inner parent. Only then will our Inner Child begin to feel and express all the hurt inside. As we grow comfortable with the uncomfortable absence of our critical inner parent, we build trust that our loving parent will guide us in knowing when and where to share intimately. Our internal intimacy translates into outward intimacy, and we are made whole once again. On this day I will help my Inner Child feel safe so that my freedom to share intimacy can grow. I will practice sharing intimately with others I have learned to trust.